Wrong unicode glyphs in emacs? I recently came across a python file "*.py" containing several prints consisting of unicode symbols. 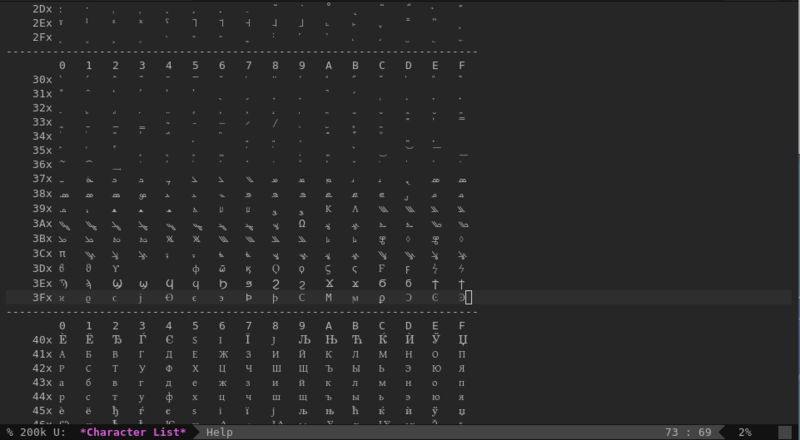 I noticed that several symbols are displayed with different glyphs in emacs than in another editor. Specifically, the glyphs in emacs seem to be wrong, i.e. not the ones intended to be displayed. The file is encoded in utf-8 (as is allowed in case of python files). Specifically, the Delta is replaced by a strange-looking glyph instead. I reproduced this using emacs -q, so it is not my specific dotemacs causing this problem (although it could be another part of my setup, such as the installed fonts). Q: What am I doing wrong, how can I fix the behavior? Browse other questions tagged character-encoding unicode or ask your own question. How can I draw in unicode with artist-mode? How to convert Unicode backslash octal representation to the character it represents? How can I add Unicode 8 support to Emacs 24.3? How can I find non-displayable unicode characters in a buffer?